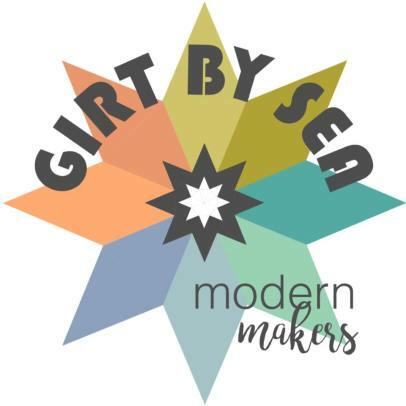 Welcome to my round in the 'Girt By Sea' Quilt Along! 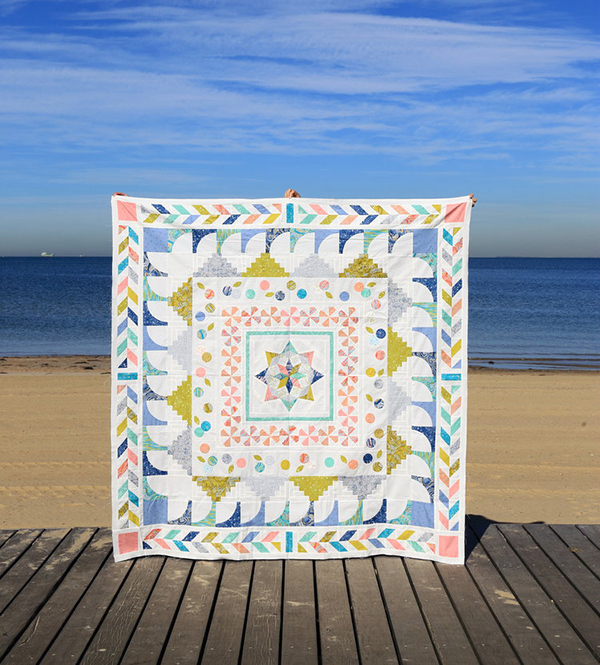 I'm so proud to be part of the team of Australian designers who created this incredible medallion quilt, celebrating this wonderful land that we live in. 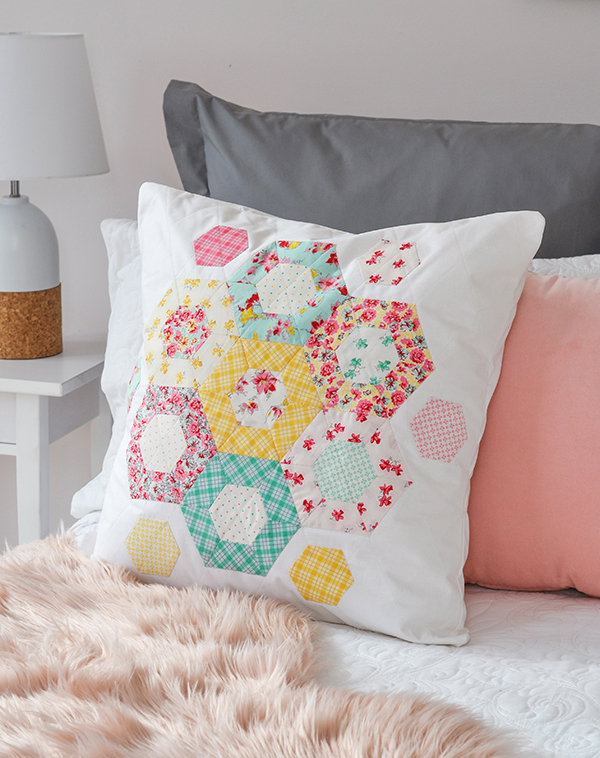 The name of the quilt was inspired by the Australian national anthem - for those of you who are not familiar, 'girt' means 'surrounded'! This all Aussie collaboration was organised by Modern Makers Retreat and features unique rounds (from the centre out) by Jodi Godfrey, Keera Job, yours truly, Alyce Blyth, Emma Jean Jansen, and Peta Peace. 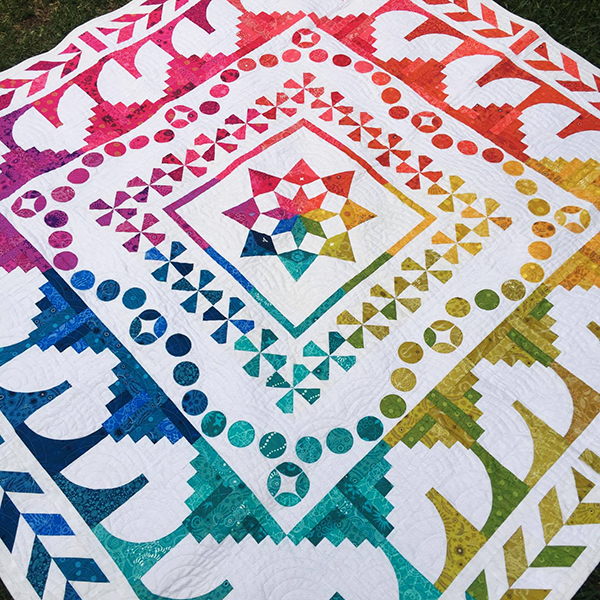 The quilt celebrates this special land with inspiration drawn from its rugged mountains, sweeping rural plains with bountiful produce, a multicultural heart beat, and of course the beautiful ocean surrounding it. 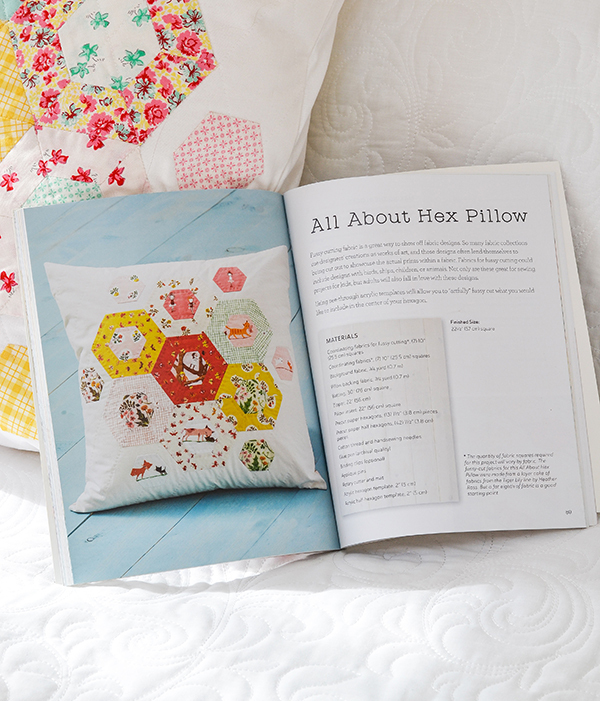 The round I designed is the third one (from centre outwards), with the leaf and circle appliques. 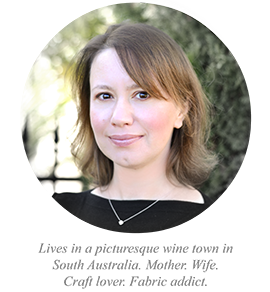 It features the two elements from my logo, and was inspired by the beautiful wine region that I live in (McLaren Vale, South Australia). 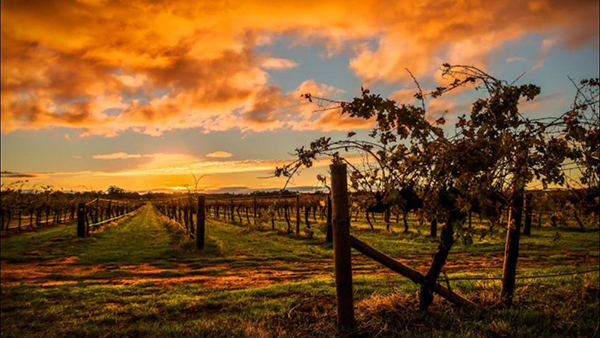 The round elements represent the fruits of the land - we are indeed so lucky to be surrounded by not only miles and miles of vineyards but fruit orchards of all manners. The views are incredible and t's truly one of the most beautiful parts of the world. 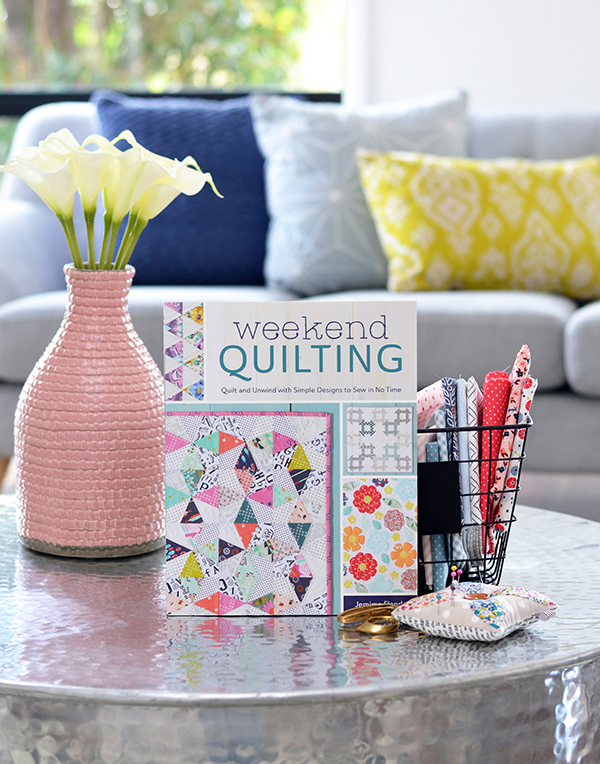 The pattern comes with a placement chart for the circles and leaves so you can position them precisely if you wish, but this round is also one where you can give your imagination free rein, and lay out the elements in whichever way you desire! 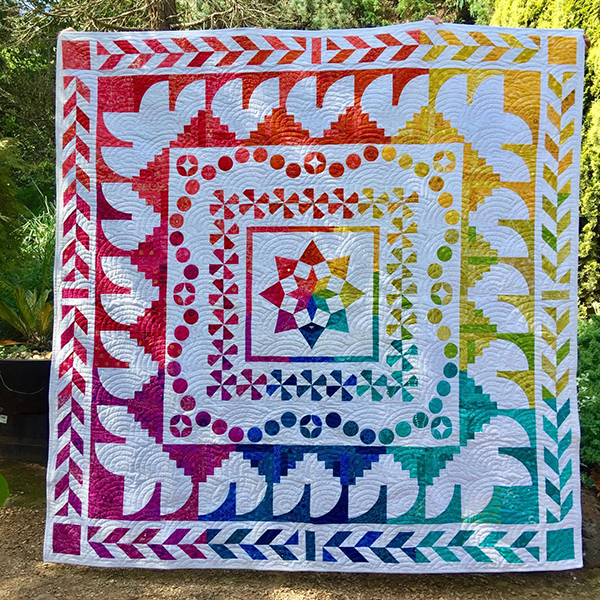 Take at a look at this version made by Jackie Gillies, one of the founders of Modern Makers Retreat, and a true master of the rainbow quilt. I love how she organised the leaves and circles to create a really striking border. 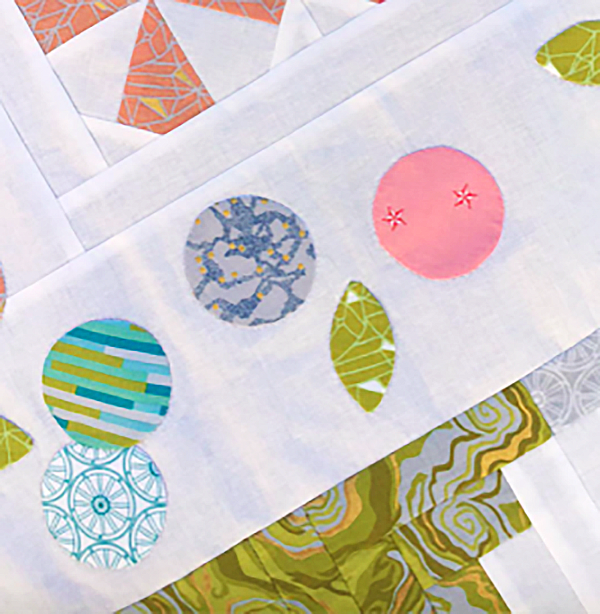 I used the fusible interfacing applique method when I made the circles and leaves for this quilt. 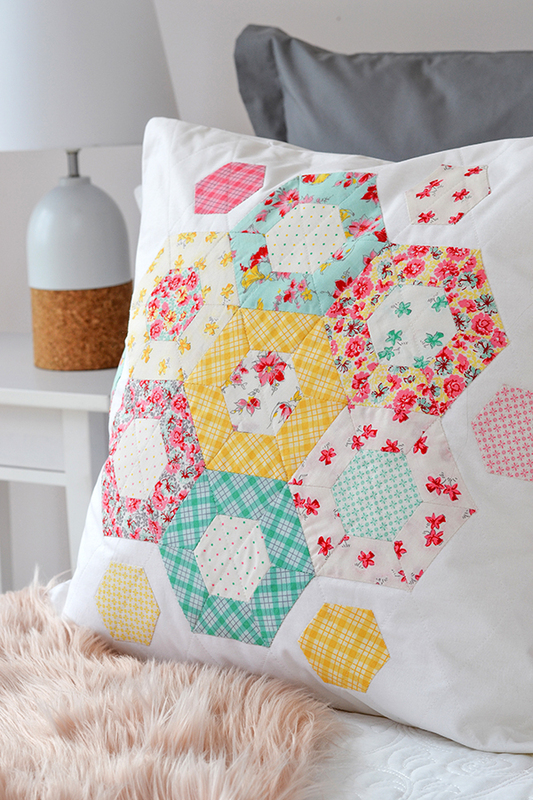 The pattern has detailed instructions on this, and also the raw edge applique method for those of you who may be more comfortable with that and want speedier results. 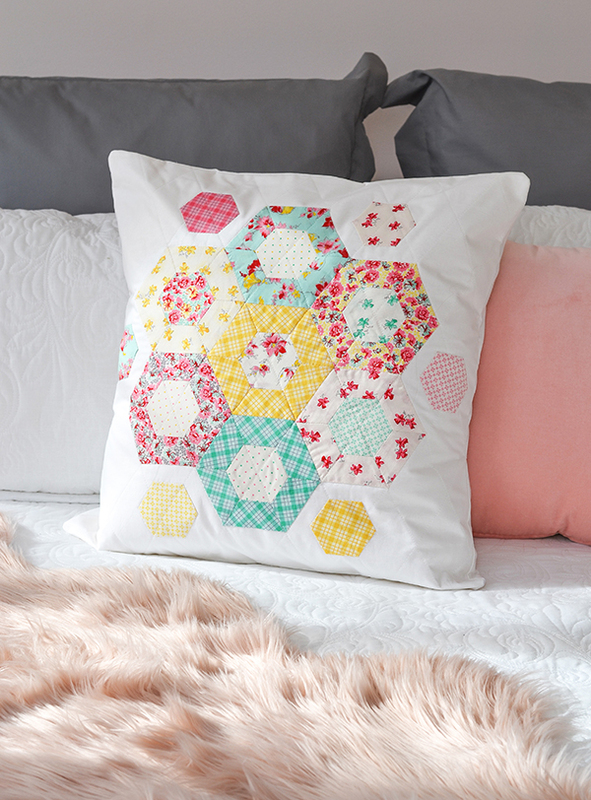 The Girt By Sea quilt pattern is available to purchase here. 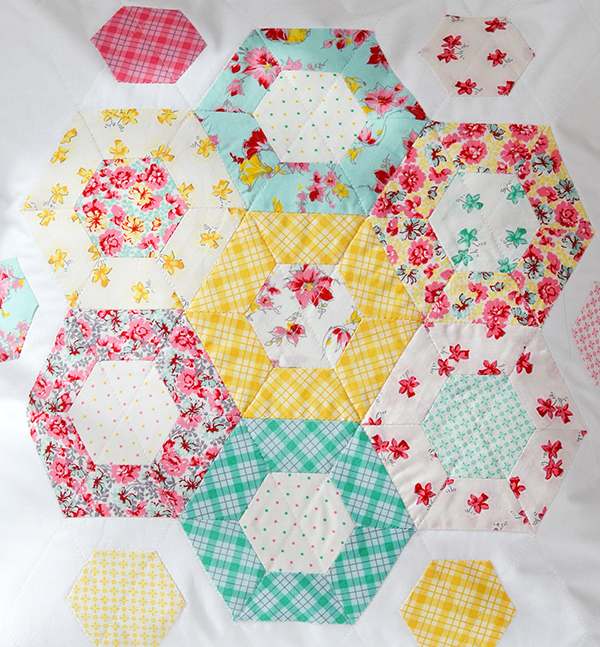 There is also a monthly sew along that you can join, with prizes for each round! 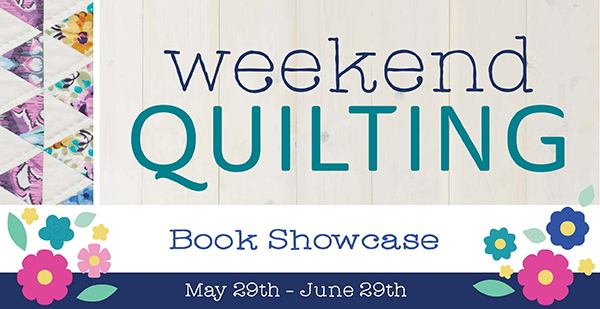 Here's this month's prize - a signed copy of my book Quilt Petite. 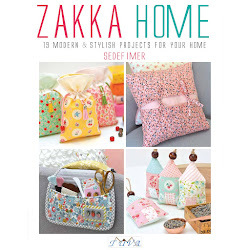 It's not too late to join us, as there are several months still to go and more prizes to win. Enjoy!